Download these free halloween decor printables for an easy and cheap halloween decoration. 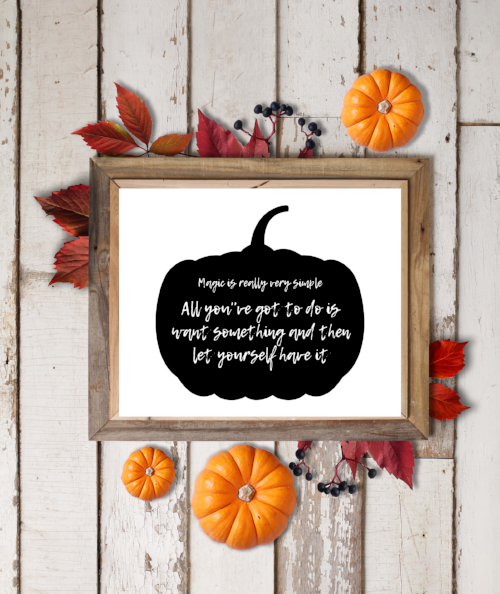 These 8x10 free printables are perfect for farmhouse and modern style halloween decorating. Halloween is almost here y’all! I had so much fun making these free printables. I love decorating with free printables because they’re easy, free, and perfect for last minute decorating (always how I roll). Plus I had to throw in some hocus pocus and halloweentown quotes since I’m a 90s baby afterall. 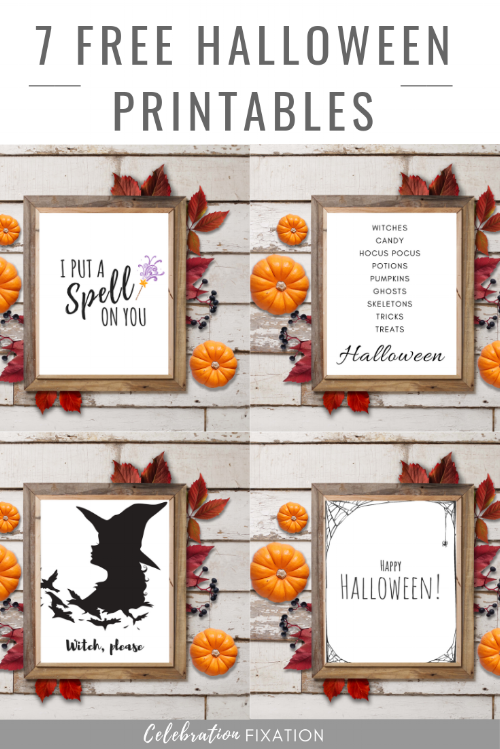 These printables fit perfectly in 8x10 frames and are a great way to add some halloween flair while still being modern and chic. They would also make a great last minute decoration for a halloween party. Directions: Find the printable you would like to print below. Hit the download button and a new window with a PDF file will open. Print the PDF file and cut along the crop marks to get the 8x10 size. If your printable does not seem to be printing at the right size, you may want to try hitting “fit to screen” option before printing. P.S. 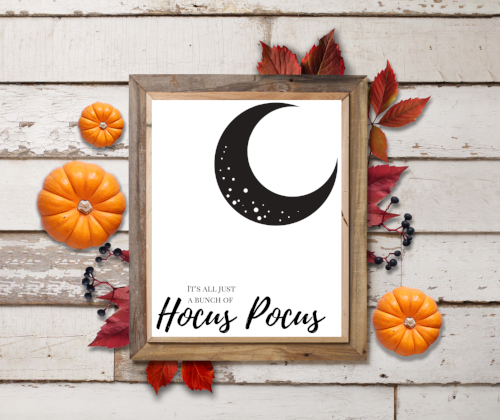 Looking for more free halloween printables? Try these punny halloween wine bottle toppers! Pin it for later below!